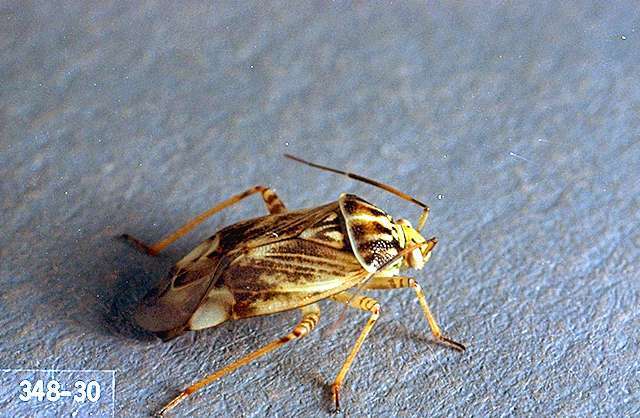 Pest description and crop damage Adult tarnished plant bugs are about 5-6 mm long and their color is variable: they may be pale green to dark brown with yellow, black and occasionally red markings. Their feeding on buds, bloom, and small fruit results in deformed berries. Lygus is generally not a problem pest except, possibly, later in the summer on day-neutral strawberries. 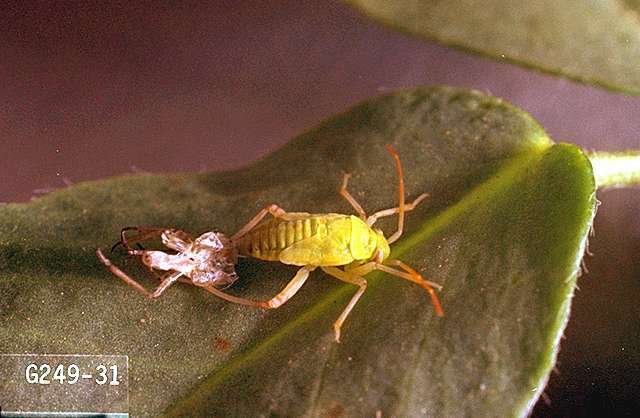 Biology and life history The lygus bug overwinters as an adult in groundcover. As temperatures increase above 46ºF, they emerge from cover to feed. They have a wide host range that includes many weeds, tree fruit and berries. 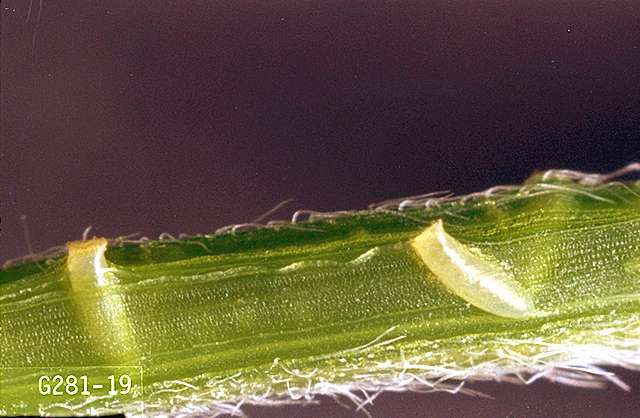 They will move from host plant to host plant as the year progresses; as these plants finish flowering or dry up, lygus bugs will seek other host plants. There are about three generations per year. Scouting and thresholds These insects are difficult to monitor as they are found on a wide range of hosts and fly away quickly if disturbed. Sweep nets may be used to monitor for the presence of the insects, though no thresholds exist. bifenthrin (Bi-Dash 2E and other brands) at 0.04 to 0.2 lb ai/a. PHI 0 days. Do not apply more than 0.5 lb ai/a per season. Toxic to bees and should not be used when bees are foraging. Also toxic to fish and other aquatic invertebrates. etoxazole (Zeal and others) at 0.09 to 0.135 lb ai/a. PHI 1 day. Controls primarily larvae and eggs; not very effective against nymphs and adults. fenpropathrin (Danitol) at 0.2 lb ai/a. PHI 2 days. Do not exceed two applications. Restricted use pesticide. flonicamid (Beleaf 50 SG) at 0.089 lb ai/a. PHI 0 days. Apply when lygus bugs first appear. naled (Dibrom) at 0.9 lb ai/a. PHI 1 day. Use in evening after bee activity has ended. Restricted use pesticide. novaluron (Rimon 0.83EC) at 0.46 to 0.62 lb ai/a. PHI 1 day. Apply when adults are observed in the field and just prior to egg hatch. sulfoxaflor (Closer SC) at 0.043 to 0.07 lb ai/a. PHI 1 day. Do not apply when bees are actively foraging. Note: Strawberry registration was cancelled on 11/12/2015 but EPA ruled that all product still in the hands of growers is allowed to be used until exhausted. thiamethoxam (Actara) at 0.062 lb ai/a. PHI 3 days. Suppression only. Do not apply during bloom or when bees are foraging in the area. Note "Bee Advisory Box" and restrictions on the label.